There's nothing more metal than a steel toe capped boot and Demonia's Gravedigger 250 Gothic Toe Cap Boot deliver! These gnarly vegan leather boots have a lace up front with inside zip. 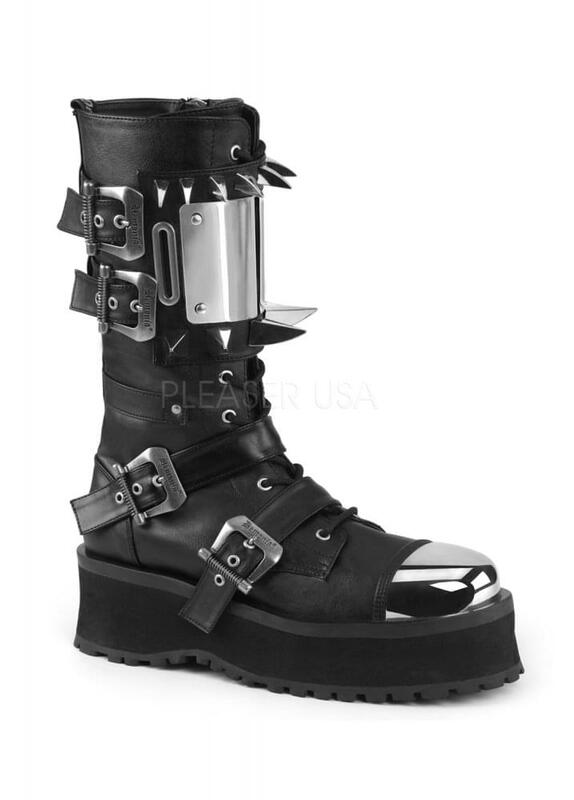 The boots have a chrome plated front, toe cap, claw spikes and buckle straps.